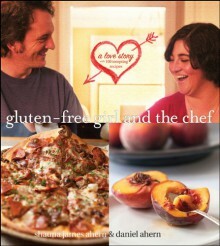 The first cookbook from the author of Gluten-Free Girl and GlutenFreeGirl.com, now in paperbackCombining tempting recipes with an authentic love story, Gluten-Free Girl and the Chef is a narrative cookbook for anyone who loves food. A must-have for those who eat gluten-free, this cookbook offers irresistible stories and plenty of mouthwatering meals. From the authors of the much-loved food blog, Gluten-Free Girl and the Chef, the book includes evocative photos, cooking techniques, and 100 chef-tested recipes that are sure to please.Illustrates the working day of a talented chef and what he does to put delicious food on the tableContains great-tasting recipes that everyone can cook and eatCombining a love story and delicious food, this is more than a cookbook, but a story meant to be read cover to coverGluten-Free Girl and the Chef inspires anyone who has to eat gluten-free to say yes to the delicious possibilities that are still available to them.